Come enjoy your Smoky Mountain Vacation in this 2 bedroom 2 bath well appointed home with easy, year round access. This home is motorcycle friendly with an attached garage. 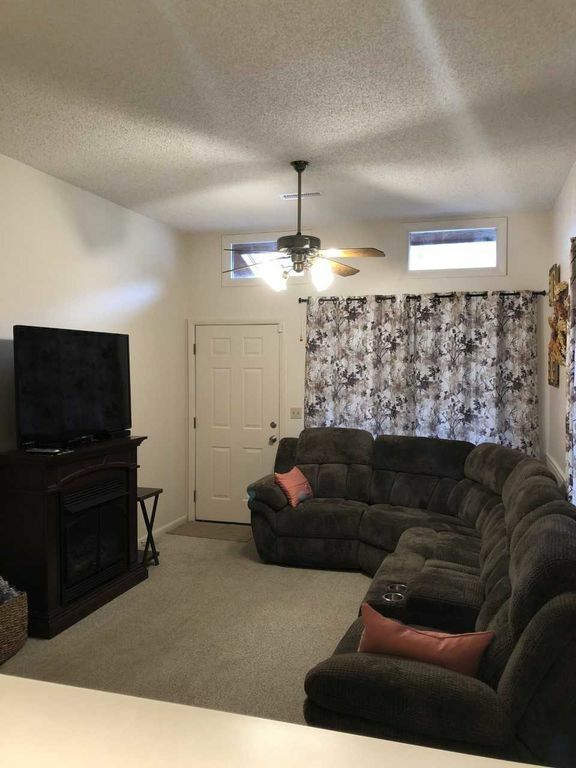 Inside features two cozy living areas each with 55 inch TV's and the home has wifi. Come sit on the front porch and enjoy the mountain views or enjoy the privacy of the fenced in back area that is perfect for grilling. Maggie Valley Dreamin' is centrally located in the heart of Maggie Valley with easy access to all of the area attractions. We are within walking distance of Market Square and its unique shops, The Maggie Valley Festival Grounds, The Wheels Through Time Musuem and local restaurants. We are just minutes off of the Scenic Blue Ridge Parkway and the Great Smoky Mountains National Park. The area is loaded with craft, antique and gift shops. The great outdoors offers horseback riding, golf on area mountain courses, trout fishing in streams, white water rafting and scenic drives. Snow skiing and tubing is available for the entire family at Cataloochee Ski Area. Nightlife includes everything from Jazz to Bluegrass, clogging or dinner entertainment. This home is just a short drive to the Great Smoky Mountain Railway, The Biltmore Estate in Asheville, Cherokee Indian Reservation and Harrah’s Casino and historic downtown Waynesville. We are also a day trip from Gatlinburg and Pigeon Forge. Whatever the season, The Great Smokies have something very special to offer. From the wildflowers of spring, to the blaze of colors in the fall or the serenity of winter, come visit and make lasting memories at Maggie Valley Dreamin'.